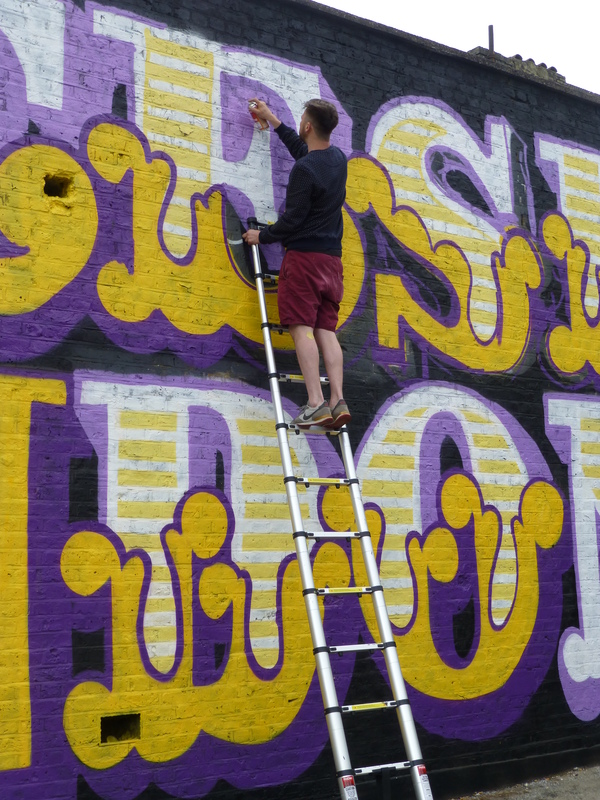 Last week in London’s East End Typography based Street Artist Ben Eine was busy at work on his freshest work. Eine’s work has been prominent around East London over the years and there are still many of his works, some older than others, to be seen around Shoreditch and Hackney. So it was great to see Eine’s first work of 2015 in London. Since his days as a prolific Graffiti Writer on the underground scene, Ben Eine has gone on to become one of the most successful commercial artists around the globe, which in the process has led him to paint the world over. 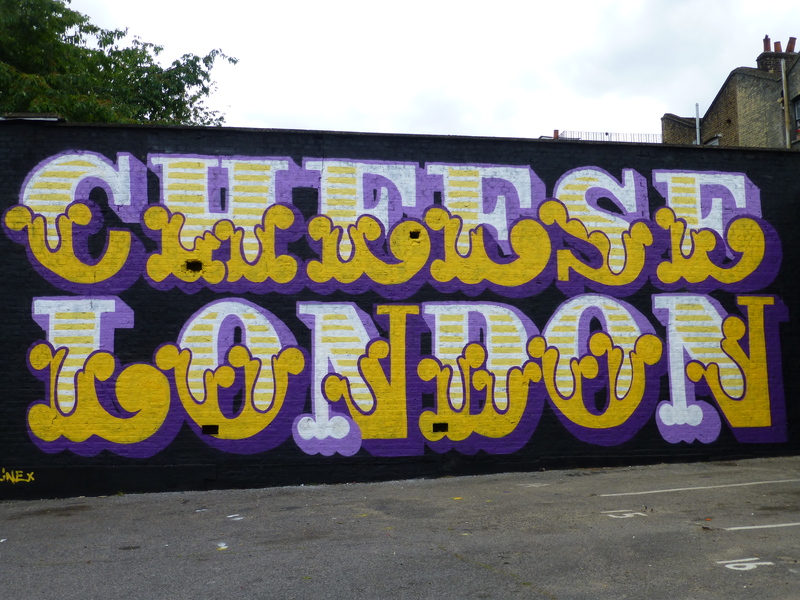 Ben Eine laid out this large scale work in association with London Graffiti Writers Cheese London and with support from The Hidden Streets Of London. 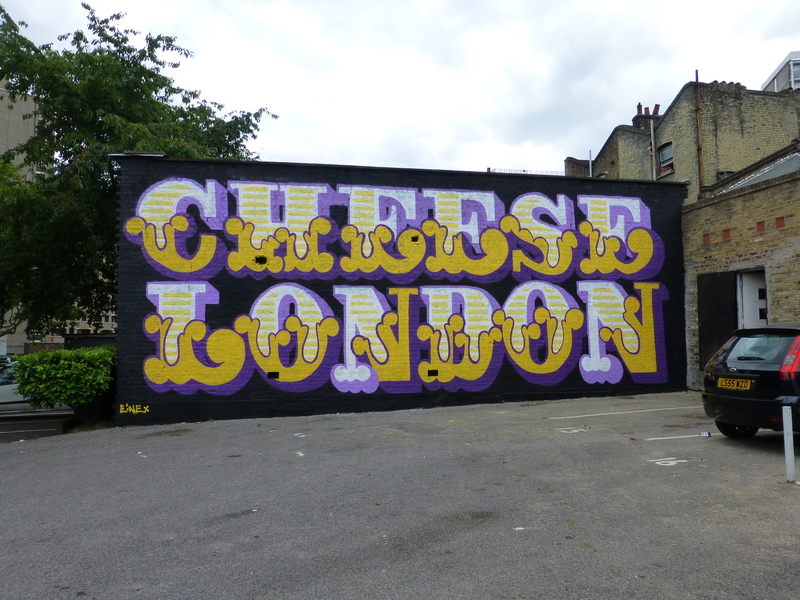 The work is laid out in Ben Eine’s trademark typographical style, on this occasion adopting the trademark colour scheme of Cheese London, comprising purple and yellow. 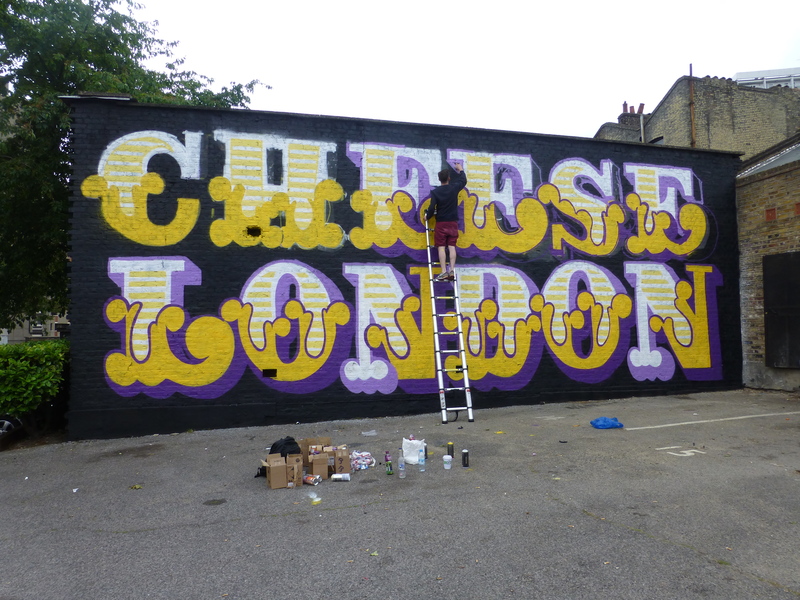 Ben Eine at work on Saturday towards the end of a few days hard work.